People often ask who they might be able to turn to on our campus for encouragement or support regarding issues of sexual orientation and gender identity/expression. 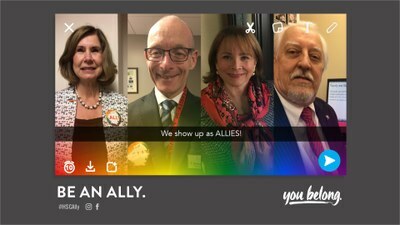 The faculty and staff included in our Ally List have pledged to be advocates to our LGBT campus community and serve as friends and supporters of the LGBT Center at U of L. If you are looking for LGBT-friendly faculty or staff members on campus you can rely on, start here! You can find the complete and most up-to-date version of the full Ally List here. For convenience, we have compiled a separate list of schools and departments for our Health Sciences Center. You can find the most up-to-date version of the HSC Ally List here. Note: HSC faculty/staff who add their names will appear on both lists. If you are a faculty or staff member at the University of Louisville and would like for YOUR name to be included on the Ally List please use this form. We'd love to add you! The list is manually updated every semester. Please Note: This list does not include graduate or teaching assistants. Thank you. Image from the Spring 2017 Ally Campaign on HSC. More information here.